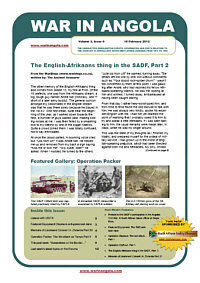 ..:: » Newsletters » Online Newsletters » Newsletters Volume 3 ::..
Due to a Page Sponsorship the first few issues of the Newsletters of Volume 3 will be open and free for download to all users, but thereafter you will have to LOG ON to download the Newsletter yourself every week. Public Users will no longer have direct access to non-sponsored Newsletters, only Registered Users (which includes all PREMIUM MEMBERS as well). 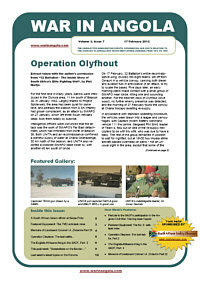 Only PREMIUM MEMBERS will continue to receive the Newsletter as an attachment. 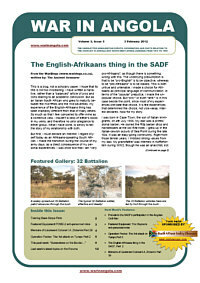 The Newsletter always remains free, except that it can only be downloaded by Registered Users. If you ARE a Registered member then use the Login entry boxes and button in the top right column on this page to LOG IN. 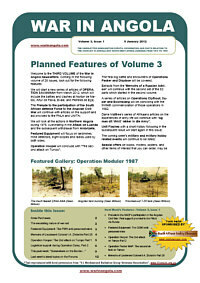 Once logged in, you will see all Newsletters of Volume 3 made available for download on this page. There will continue to be four different quality versions for each Newsletter to facilitate your best printing and download requirements. 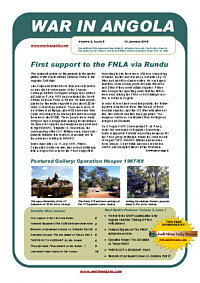 All Registered Users will still receive an e-mail with the War In Angola Announcements which will announce each issue as they are released, with a link to THIS page. All the best and enjoy. Thank you for your feedback and support. Page Sponsorships. 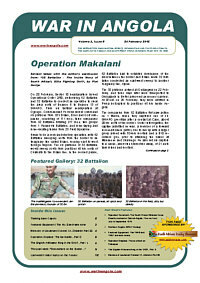 Companies can sponsor (and thereby advertise their name) single pages of the War In Angola Newsletter, contributing towards the costs of hosting and bandwidth and sending out the Newsletters freely to all users. As soon as I have sponsorships for at least 50% of the pages, I can start attaching the Newsletter to the WIA Announcements Bulk Email again. The cost of sponsoring a page is nominal, amounting to R300 ($45 or £30) per single page (there are 12 pages in every issue) for a period of two months, or across 8 issues! It gets sent out to every registered user, of which there are some 800 at the moment! This figure increases by between 30 and 60 new users every month. 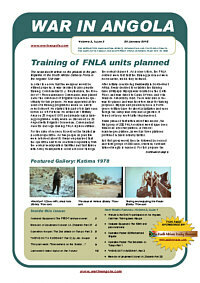 War In Angola Newsletters Volume 3 - Download for Free! 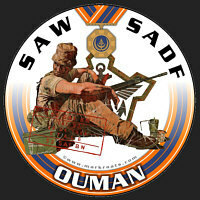 The past week’s latest Forum posts (about 9 of them) will again be listed on the final page. 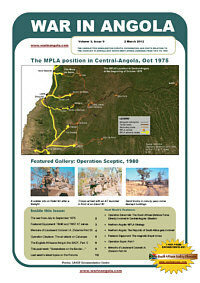 Contributions made by members of the War In Angola website may also be considered for inclusion in future issues. 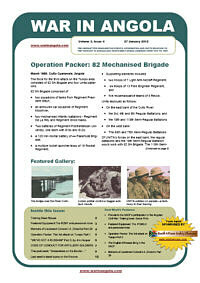 ISSUES 10 - 26 ARE ONLY AVAILABLE TO REGISTERED USERS!